How is it December already?? We had the first snow in Stockholm yesterday - and though it melted within minutes, it was still a nice feeling. I've been doing quite a bit of Christmas crafting lately, but nothing I can show yet unfortunately! I have too many family mambers following my blog... So I thought I'd show you another little gift I made for Liv. 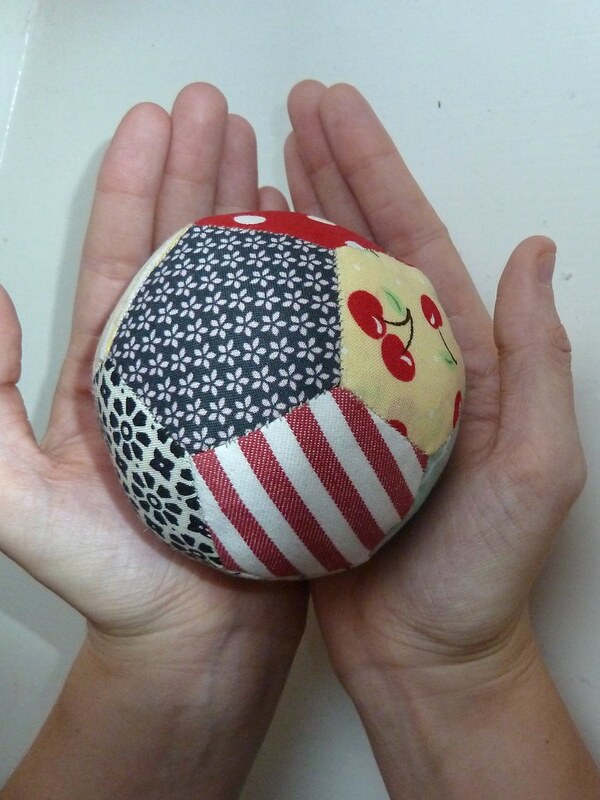 It's a patchwork ball, completely hand sewn using a great tutorial posted by iHanna. 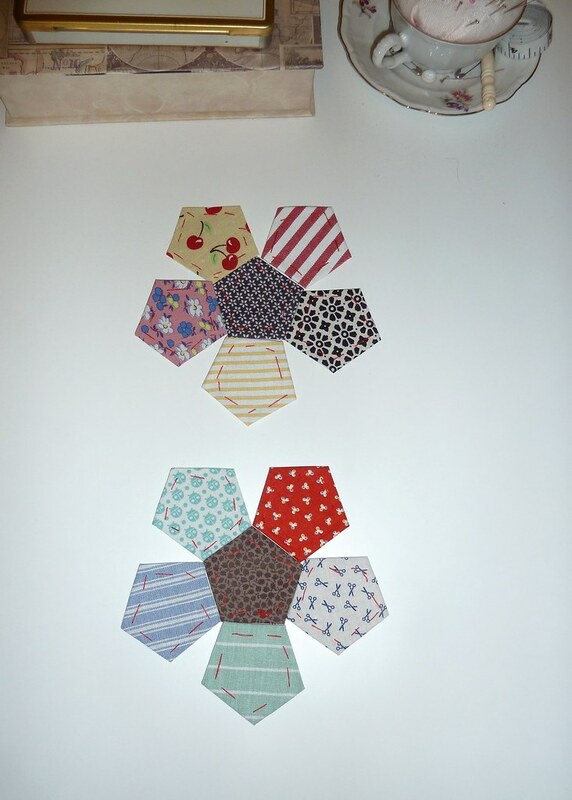 I've been following Hanna's blog for ages, and finally got round to making this. 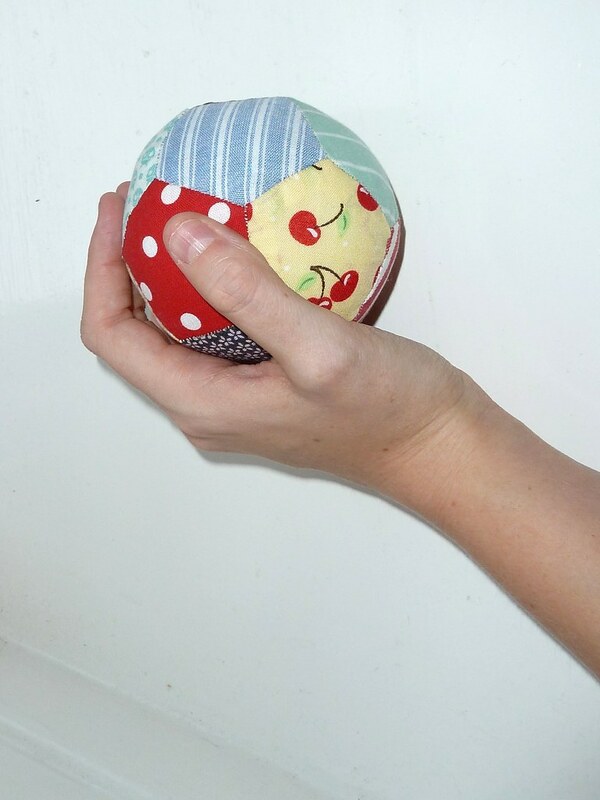 Hand sewing is really relaxing, and this ball is a great project even if you haven't done much hand sewing before. I made two different balls for two different babies, and put a couple of little bells inside for added fun. It's the perfect size for throwing around - Keith has already asked me to make one for him, too! Stockholm is great this time of year - all the Christmas lights, hanging out in cozy cafés, going to the Christmas market right in my neighborhood... I'm ready for the holidays! Looks nice. I guess you could do some cheating with a sewing machine too ;) ?